Many businesses have a difficult time choosing a cloud solution to implement because of the organizational changes it can have. Making an impulsive decision before proper research can lead to downtime or a decrease in operability. Therefore, you should understand the value of moving your business to the cloud as well as the options that are available. The benefits that the cloud provides, such as reliable access to applications and data, are too good to pass up. All you need to gain access is a mobile device and internet connection. Workplace barriers are being broken down by an increase in productivity and mobility. Professionals are no longer limited to the office and can work from anywhere they want. 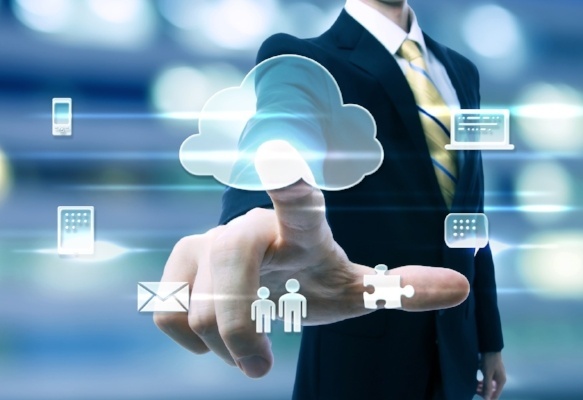 There are several cloud solutions that offer different benefits. The solution that best fits you depends on what you’re looking for as a company and which aspects of the cloud you wish to have control of. Here are explanations of the three cloud solutions that highlight the advantages and disadvantages of each. Public cloud solutions are offered by third-party providers and give access to a shared space online for users to store files and applications. Consumers only have access to their own storage space but there are some additional features available for businesses. If you do not have internal staff to manage the cloud system, this solution would be ideal. It is maintained by the provider’s professional staff who handle the maintenance and updates. With the public cloud, you are limited to the amount of control you have of your data. You are not able to put additional security measures in place like you would be able to using the private cloud. Private cloud solutions are generally hosted on premise, but there are some providers that designate a section of their infrastructure for specific clients. Choosing a private cloud leaves you with the responsibilities of management, upkeep, and maintenance. Usually, you need an internal IT department to make this possible with the proper technical expertise. Another option would be to have a managed services provider handle everything. If you are looking for a private solution that is hands-off, you may want to consider a hybrid cloud. A hybrid cloud solution combines the two prior services into a single dynamic package. You are able to keep your data safe while simultaneously minimizing the amount of maintenance required by your business. This solution can either be outsourced to an IT provider or managed on-site. To find out which type of cloud solution is best for your business, contact CPI at (888) 640-9955. This blog was written by Chriss Rhode at OrLANtech. OrLANtech provides technology solutions including computer repair & maintenance, networking, IT support, managed services & data recovery to the Central Florida area.